For those looking for the benefits of owning their own home without the responsibly of maintaining a structure and property, condominiums (condo) have the best of both worlds. 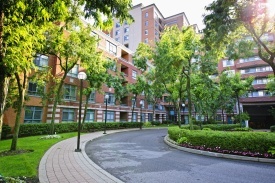 Purchasing and owning a condo is very similar to owning a single family home, but insuring it is very different. Unlike homeowners insurance, condo insurance only covers what you own, which is everything within the walls of your condo. The structure itself is generally covered under a policy that is split between all the owners in the building. You would pay this premium in your Association Fee.